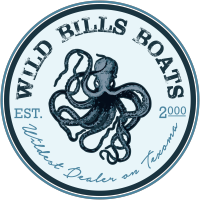 Wild Bill's Boats Financing - Call us at 405-830-8486 for to see what financing options are available for you. At Wild Bill’s Boats, we have different financing options available. Feel free to call us at 405-830-8486 for to see what financing options are available for you. We have a large selection of boats including Xpress, Veranda, Yamaha, Falcon & Tidewater. We also carry Yamaha & Gator Tail Outboards. Give our dealership a call at 866-890-8181 or visit us in Mead, Oklahoma for more information on new & used boat sales. We are close to our friends in Arkansas & Texas.